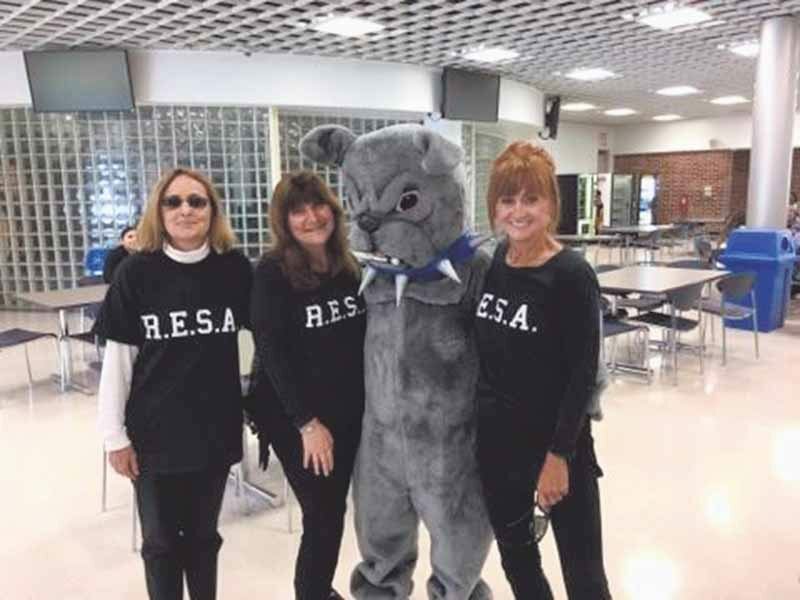 From left: representing the Roslyn Educational Secretaries Association (RESA), Susan Doyle, Rebecca Eger and Andrea Rubin came out to participate in Roslyn High School’s Homecoming celebration on Saturday, Sept. 24. 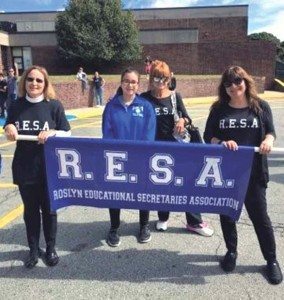 RESA members lining up before the parade through town with Roslyn High School freshman Olivia Viruet-Quintero, who came to lend her support. 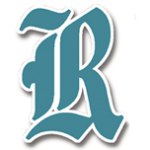 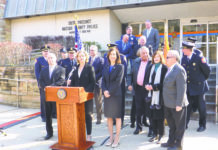 RESA is comprised of administrative assistants, clerk typists, secretaries and many other positions within the Roslyn School District that support the administration, faculty, staff, students and parents.